The thought of your student returning home, especially after freshman year, can be exciting and potentially unsettling. Your student will now be a young adult living in your home. What will the new relationship look like? Read on for observations and suggestions for navigating the transition. Last time, we invited you to share advice with other Michigan parents about how to talk to students about Spring Break choices, including alcohol and staying safe. Is spending too much time on social media preventing your student from getting a job or an internship? The answer may be – "It depends." Social networking has been criticized as a complete waste of time. However, it's only unproductive if your student spends too much time on the "social" aspects of the networking. When used on more professional terms, social networking sites can be a huge benefit in terms of increasing a student’s opportunity to land a job or an internship. Does your student know how to live within a budget? How can students and parents best communicate about money? And how much money does it really take to live in Ann Arbor? Last newsletter, we invited parents to share tips and advice with other parents about Thanksgiving break. Here’s how other families manage this first break in the school year. Read on, and enjoy your time with your student this month! Summer is waning, and thoughts turn to Move-In. The annual journey to Ann Arbor is an exciting time. Student Life staff are getting ready to help make it a good experience. To the Class of 2012 – and their families – congratulations! The University of Michigan graduation ceremony will be held Saturday, April 28, at 10:00 a.m. in Michigan Stadium. CNN chief medical correspondent and U-M alumnus Dr. Sanjay Gupta will deliver the spring commencement address. Offered here are many of the details from U-M’s official commencement resource site. Parent to Parent - Empty Nest? Last edition we asked parents: How did you cope when your first or only child left for U-M? What helped with the transition? What would you like to share with other first-time U-M parents? Here are some helpful suggestions and experiences from other Michigan parents and families. Last edition we asked parents: "What suggestions would you have for other parents to help their students start planning now for the summer? How can parents help students choose whether to enroll in classes, pursue an internship, travel abroad for academic or career interests, or get a jump on a good summer job?"  The University of Michigan's 2010-2011 general fund budget includes $126 million in centrally awarded financial aid. Nearly 67 percent of resident undergraduates and 57 percent of nonresident undergraduates receive some form of financial aid. That's a substantial commitment to helping students with need pursue a world-class education at U-M. When Is Grad School the Best Choice?